Your product packaging should be considered as one big call to action for your consumers – “buy me; I’m your best option”. When you begin the process of designing your packaging, you need to keep in mind that your packaging should make your product stand out on the shelves or online. Great branding together with attractive and memorable product packaging is a must for smaller brands. It’ll help your products compete against established products and grab a share of the market. Use our tips for smaller brands looking to make a big impact with product packaging. A great way to get started is with exciting colourful product & packaging labels. 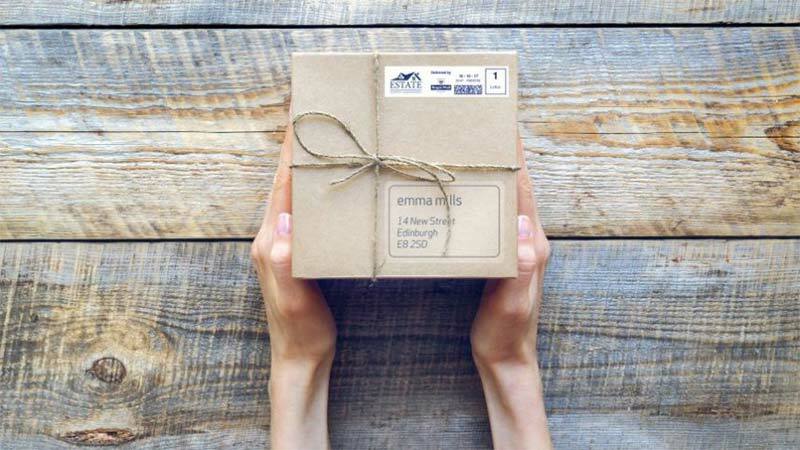 There are two basic things to consider with packaging design – form and function. Fundamentally, packaging keeps the product within safe and intact. But encasing your product in bubble wrap and a blank box definitely will not attract new customers. Your packaging needs to provide product information whilst making it an attractive buying prospect. What is the product? Why is it the best product for their needs? Why do they need to buy the product now? If you want people to think that your product is great quality, your packaging needs to relate this. If it looks like a lot of time, effort and considerations has one into the packaging alone, it can speak volumes about the product itself. It’s important to remember that creative, memorable packaging can be a strong influencer in the product decision making process. Your packaging can help influence consumers into buying your products, even if its priced a little higher than your competitors. Make sure that the important information is still legible and clear. It can be easy to become interested in creative and innovative design, but ultimately the packaging should indicate the brand name and what’s inside the packet or box. Bold packaging design littered with product benefits can be confusing and could disguise your branding. However, minimised packaging that focuses solely on the brand rather than product benefits is risky. This can work for established brand and household names, but for smaller brands trying to break into the market, it can mean frustration for the customer and ultimately a missed sale. Where your product is being displayed has a big impact on your packaging design. In a physical storefront, your product will be stacked on a shelf, hung or put on a display stand. But as a smaller brand, you will want to maximise your potential audience by also selling your product online. In an online storefront, customers lose out on the ability to touch and feel the product packaging, so appealing to the other senses is key. You need to make your product stand out, but other factors like typography and colour palette are more important than ever. For smaller business, budgets can be tight, and the teams can be just one or two people. However the skills and knowledge needed to cover all elements of the business from product design to marketing and packaging are best left with the experts. However, if using an agency is not an option, seek advice from a smaller local specialist packaging consultancy to help develop your brand. An experienced consultancy will not help keep your budget in check, but will also have all the relevant information and knowledge you need to hand.